Natsuho Murata was born in Ibaraki-ken, Japan. She began her violin studies at the age of three. 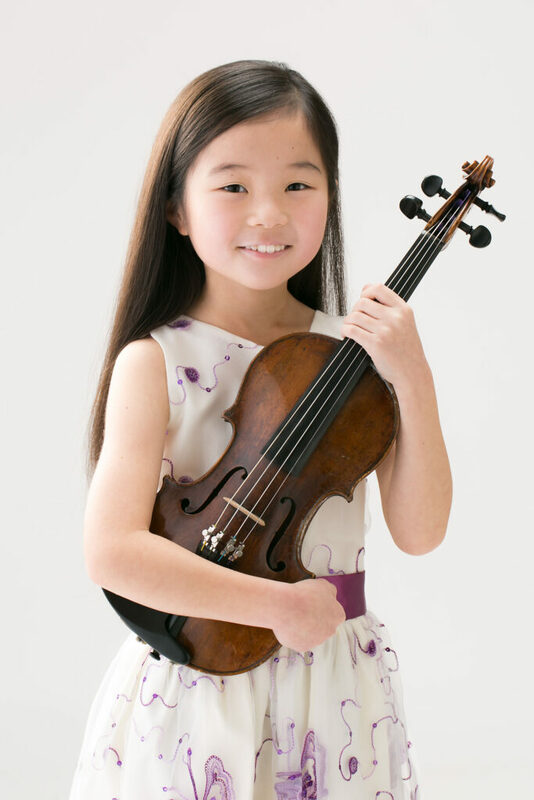 She has won numerous awards including the 1st prize at the International Nutcracker Television Competition for Young Musician in Moscow, Russia (2018), 1st prize winner at il Piccolo Violino Magico International Competition in San Vito al Tagliamento, Italy (2018), 1st prize winner at the elementary school division of the 71st All-Japan Student Music Competition in Tokyo, Japan (2017), 1st prize winner in the category 2 of the elementary school division at the 1st Hakuju Children’s Violin Competition in Tokyo, Japan(2016), among others. She has performed all over the world with important orchestras as the Tokyo Symphony Orchestra in Tokyo, Japan (2018) and the Moscow Virtuosi Orchestra at the opening ceremony of the International Festival “Moscow Meets Friends” in Moscow, Russia (2018). If you are interested in working with Natsuho, please get in touch with the EMCY Office.